Kasi joined Anterra in 2006 and oversees the operations of over 1,100 apartment homes. Her portfolio includes market-rate and senior living garden-style residences. Kasi works closely with the Construction Department to assist with management and selection of finishes for unit upgrade projects. 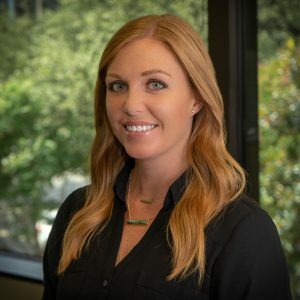 Kasi has over 15 years of successful multifamily experience including involvement in new construction, lease-ups, acquisitions, renovations, and repositioning. Outside of work, Kasi stays active with friend and family and spends time at home with her husband and two children.